For those who come to Havana on a cruise the idea of making the most of their time is a priority. That’s why NosotrosCubaneamos has prepared the best tourist guide in Havana, with the objective that they can know the main attractions of the city. The idea is to start the tour with a classic car. Beginning the tour in the morning at the cultural center Fusterlandia , where you will be able to appreciate the current urban art, without a doubt a Havana place not to be missed. We will visit the forest of Havana, on the banks of the Almendares River. It is preserved in its natural state. Officially called Metropolitan Park of Havana has more than 700 hectares. In its interior is the Almendares Park. Part of this zone is a Protected Area in the category of Protected Natural Landscapes in Cuba and has the name of Isla Josefina. It is one of the most beautiful places in Havana with dense tropical vegetation. Then we will continue through the Plaza de la Revolución: this public square is one of the largest in the world with 72,000 square meters. It was created in the time of President Fulgencio Batista and was originally called Civic Square. Its international fame begins with the Cuban Revolution. 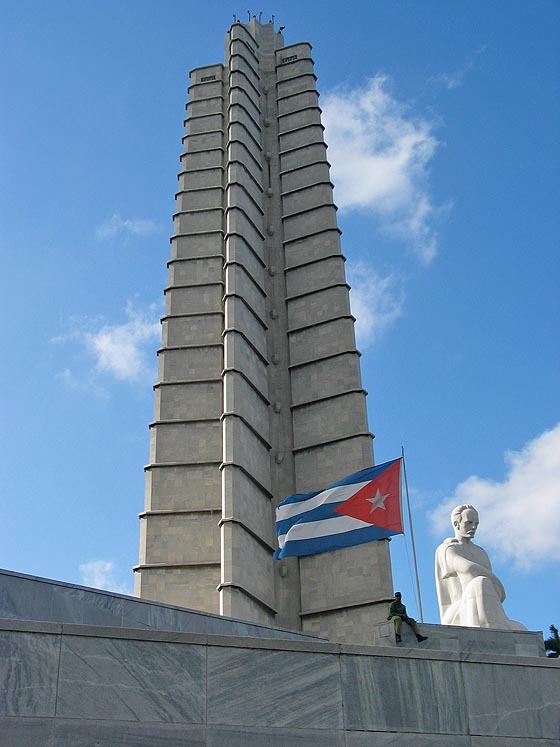 In it we can find the Monument to José Martí. Its creator was Juan José Sicre. It is located in front of the Ministry of the Interior with the well-known image of Che Guevara. Where it says “Until the victory always”. You will pass by the Colón Cemetery, the Hotel Nacional, Coppelia, Feria de Artesanías. After lunch the client will visit El Cristo. 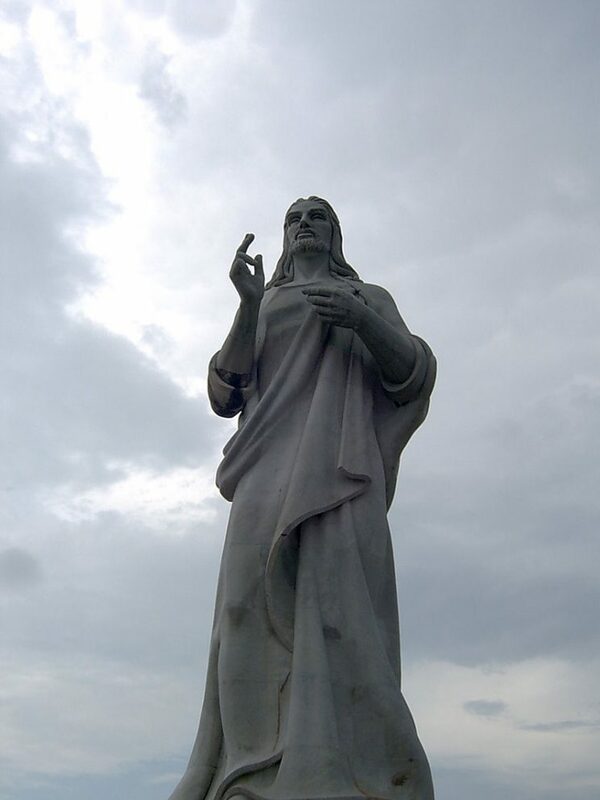 It is a colossal sculpture that represents the Sacred Heart of Jesus, by the sculptor Jilma Madera. The statue was built with Carrara marble, the same one used in the monuments of the Colón Cemetery. The image is about 20 meters high and rests on a base of 3 meters. In this base its creator buried diverse objects of the epoch. Its approximate weight is 320 tons. The statue is made up of 67 pieces brought from Italy. It was sculpted in Rome and blessed by Pope Pius XII. On the way you will pass the castles in Havana, then the famous Capitolio de La Habana, Parque Central, Gran teatro de La Habana. We will continue to the bar El Floridita. This bar-restaurant has been in operation since 1817 and became world famous thanks to Ernest Hemingway, who used to visit it regularly. “Mi mojito en La Bodeguita, mi daiquirí en El Floridita”. Ernest Hemingway, in his own handwriting on one of the walls of La Bodeguita del Medio (place that will also be visited). The tour will end with a visit to the 4 squares: Plaza de Armas, Plaza de la Catedral, Plaza de San Francisco de Asís and Plaza Vieja in Old Havana (the historic centre of the city). 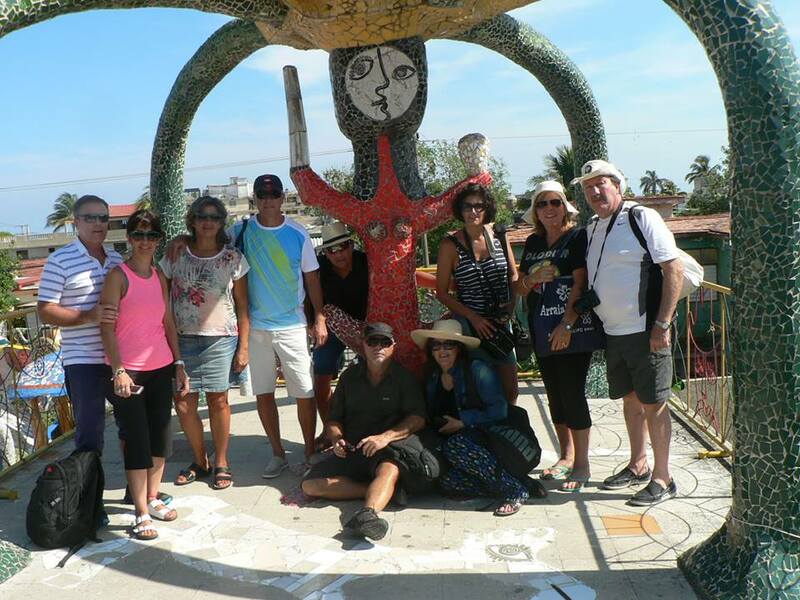 It is a tour where the client will be able to enjoy the most important thing in all Havana. How do we book this tour? 3 people arriving May 22 by cruise ship. I’m traveling in a cruise arriving June 21 at 2pm and leaving the island June 22 at 4 pm. What are your recommendations and prices for 5 adults and one child. Hola Alejandra, puedes escribirnos a nosotroscubaneamos@gmail.com para enviarte la oferta completa + precios que tenemos para las personas que llegan en cruceros. Te esperamos! We are interested in booking a tour for July 19, 2019. We are NOTinterested in visiting cigar, coffee or rum factories. Is it possible to customize the tour for a group of 6 people to see the REAL Havana? We also want to include a ride by the Malecon, to visit to Fusterlandia and if possible to see Hemingways home (I am not sure if that is in the area of the rest of the tour. If not that is ok we do not have to go there). If our tour can be customized in this way, please let me know how much it will cost and how to book because your website has so many tour options I am a little confused. We will be coming in on the NCL Sky for one day, July 16, 2019. We would like to take the earliest tour offered. Yes Rachel, you can customize the tour. Can you send us an email to nosotroscubaneamos@gmail.com, please?